Food and fun and the fair, oh my! 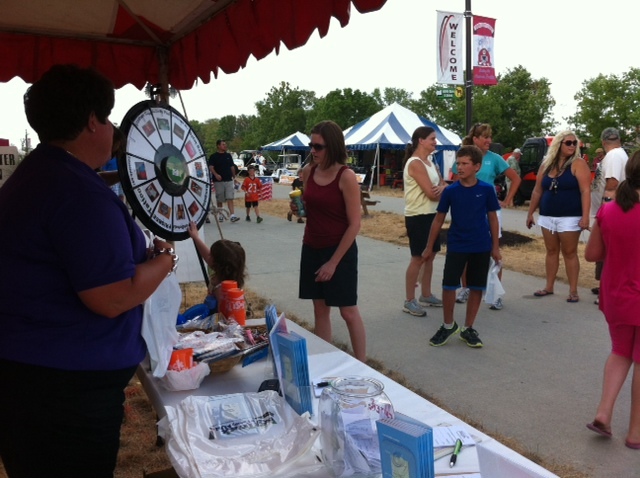 My first experience at the Hendricks County 4-H Fair in Danville, Indiana, as a newbie was a blast. Walking through one of the far entrances, all I could see were food vendors, colorful signs and vibrant displays. Everything was wonderfully cliche - from the twirling rides to the smell of the horse barns. I saw all of the fair classics and also noticed things I haven&apos;t seen at other county fairs! One of the more unique acts I saw during my day at the fair was the Swifty Swine Racing Pigs show, which features a troupe of four pigs racing for the chance to get the awaiting Oreo cookie (apparently, miniature pigs love Oreo cookies.) I only had a chance to stick around for the first race as Kevin Bacon, Simon Sowell, Brad Pig and Justin Bie-Boar flew around the track. They were definitely their own mini superstars among the fairgoers in the stands. Each pig had their own designated fan section – and because I was sitting in the first section, I cheered on good ole Kevin Bacon. As if I needed further proof that I was not meant to be a cheerleader, my mini pig ended the race dead last – pulling a “ham-string.” If you have time to see these pigs race during their daily shows, you NEED to go. I even heard the show includes a swimming pig. The pigs are not only adorable but provide great entertainment and can help make you forget about the heat for a while. I’d also recommend seeing the High Flying Pages Aerial and Animal Equestrian Show in the Promenade (mouthful, eh?) These acrobats swing around tight ropes and perform tricks that will make your head spin. They also hold daily performances at the fair and the stands seemed to fill up fast - make sure to check out the fair guide to plan ahead and grab an early seat to the show. I saw two of their shows and was still just as amazed during the second round. Saving the best for last, one of my favorite aspects of the fair was the food. My fair food of choice? I decided on a Polish Sausage, smothered in onions and peppers. 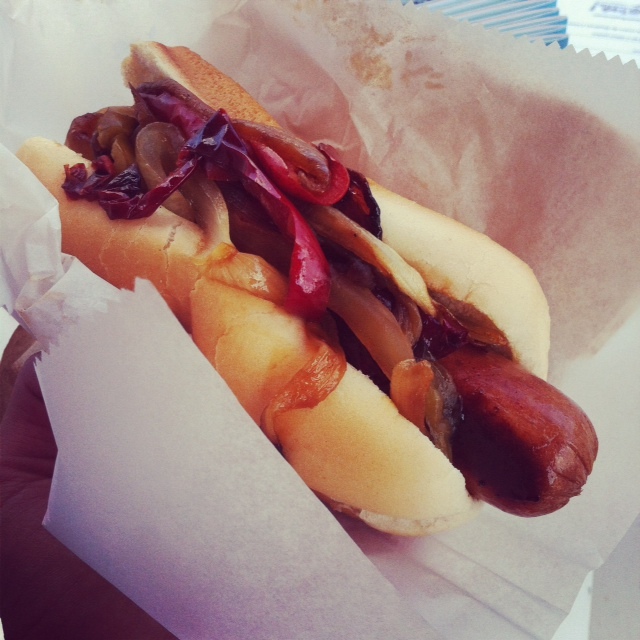 For $5 – it was a pretty good price and size as fair foods go. I also cooled down with a vanilla milkshake from the 4-H Café, a steal for the large portion and $2 price tag. I am excited to go back to the fair this upcoming week. There are still so many things I want to try before the week is over - including every food vendor. So keep watching here on All Access Hendricks County as I will post another blog before the end of the week. Have your own favorite? Give me some suggestions on what I need to try prior to my next post by leaving a comment below!